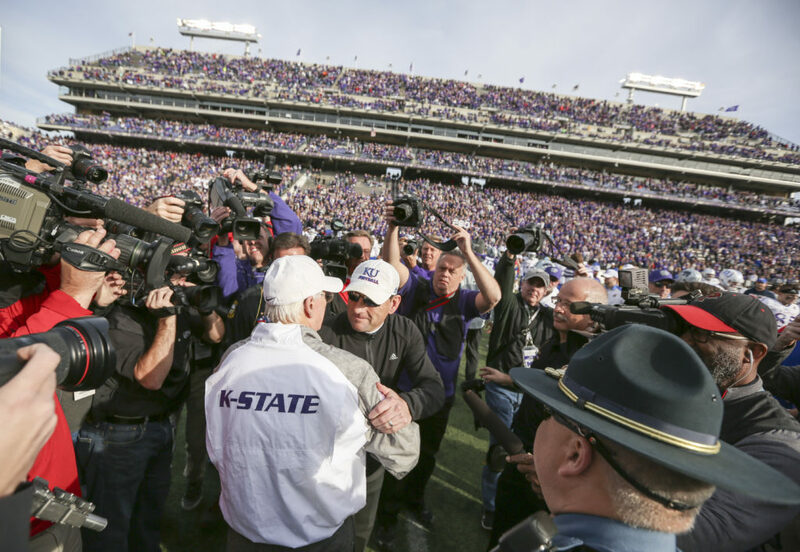 Kansas head coach David Beaty congratulates Kansas State head coach Bill Snyder on his 200th coach win following the Wildcats' 34-19 win over the Jayhawks on Saturday, Nov. 26, 2016 at Bill Snyder Family Stadium. 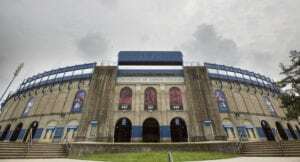 The Sunflower Showdown has featured its fair share of lopsided affairs, particularly this decade. Since 2010, Kansas and Kansas State have squared off eight different times in football. During that stretch, the Wildcats have won all eight meetings by an average margin of 24.4 points per contest. They have claimed five of those wins by at least 31 points. Yet, if the last two clashes are any indication, the seismic gap between these in-state rivals appears to be shrinking. 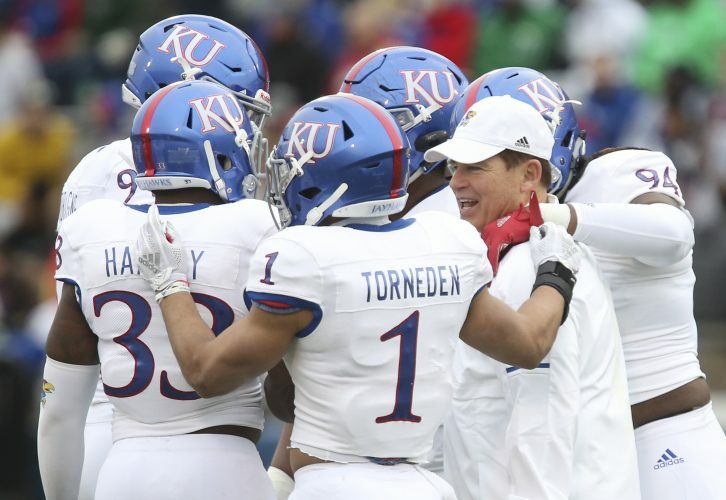 Kansas has been within two scores in each of the last two meetings, including a 10-point loss in Lawrence last year. Kansas State coach Bill Snyder said as much during his weekly availability with reporters Tuesday. Entering Saturday’s matchup in Manhattan, both programs boast identical records at 3-6 overall and 1-5 in Big 12 play. It marks the first time since 2009 that KU has had a record equal to or better than K-State ahead of the Sunflower Showdown. In that game, Kansas State claimed a 17-10 win over Kansas in Manhattan. Mark Mangino was in his final year at the helm for the Jayhawks. 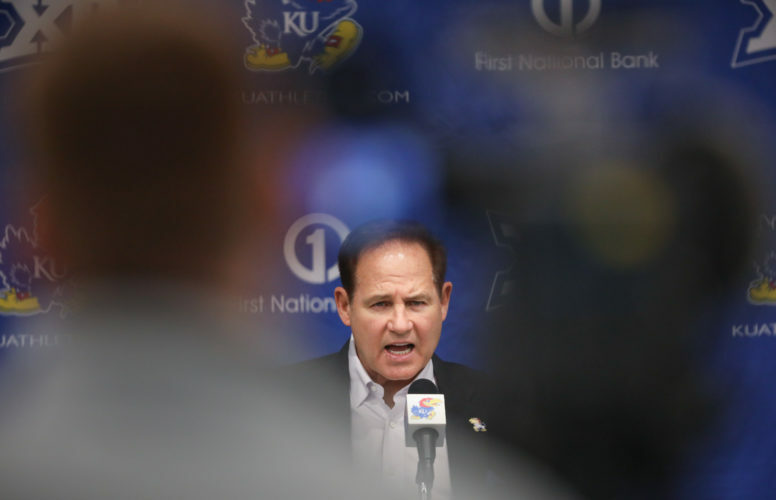 Since then, the Jayhawks have had three different head coaches, while Snyder has remained a constant on the sidelines for the Wildcats. Because of this year’s struggles, multiple media outlets have published stories suggesting it is time for Snyder to step down. Beaty, of course, was told Sunday that he would not be retained following the conclusion of the 2018 season. 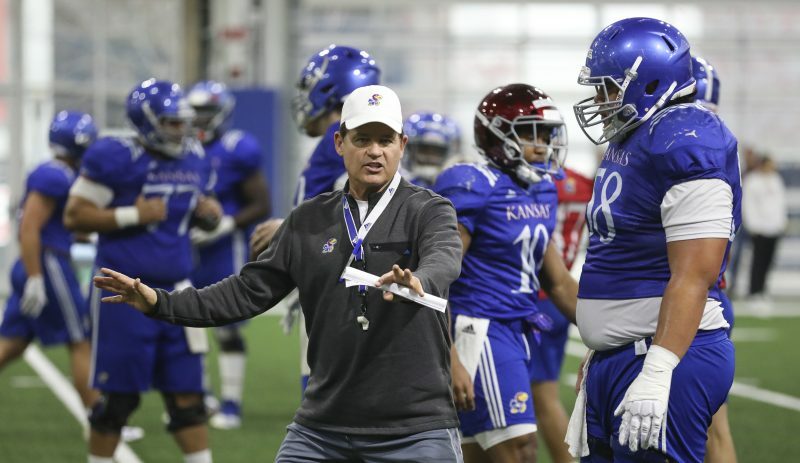 In three-plus years, Beaty has posted a 6-39 record, including 2-31 against Big 12 teams. But that is what makes this particular Sunflower Showdown so unique. Despite the Wildcats being considered a 10.5-point favorite by Vegas, the two teams — at least for one year — appear as though they belong on the same football field. A lot of that has to do with the two murky coaching situations, though the teams also have posted similar numbers throughout 2018. 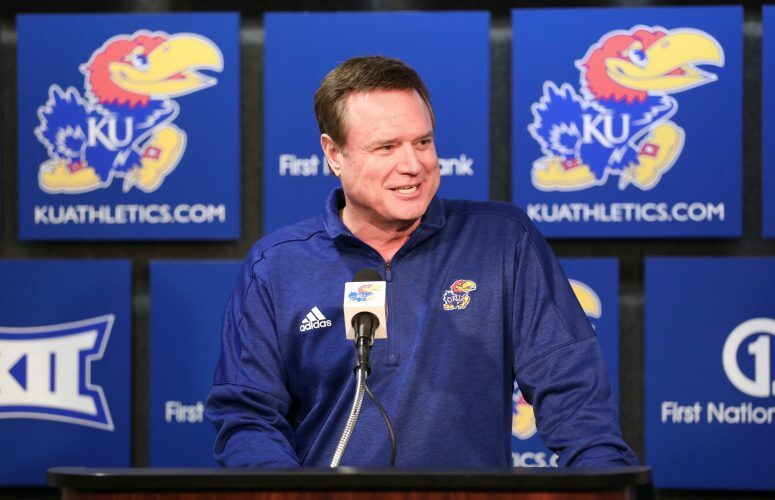 This season, Kansas is scoring 23.6 points per game compared to Kansas State’s clip of 21.1. The Jayhawks have not finished with more points than the Wildcats in a single season since 2009. KU is also beating its in-state counterpart in yards per game, which is also something it has not done in nine years. As a result, the Jayhawks have a shot at winning their first game in this rivalry since Nov. 1, 2008.